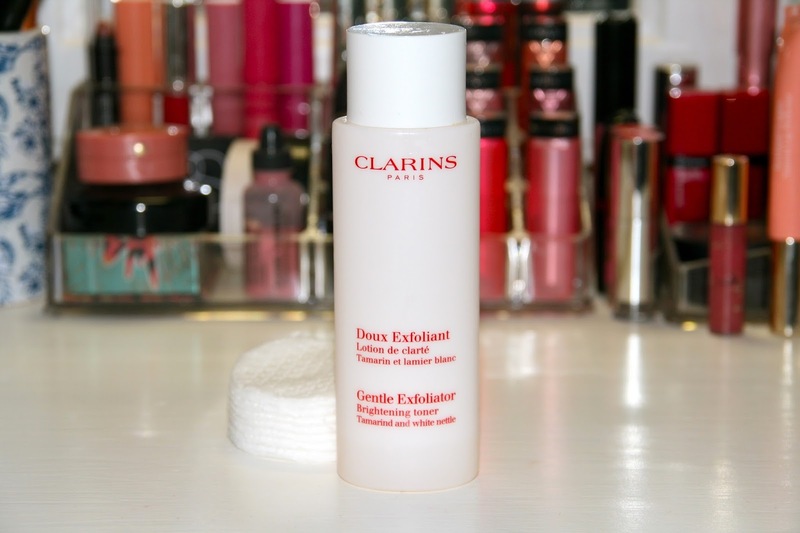 Followers of beauty blogs will know that the European beauty bloggers all have a deep-seated love for the Clarisonic, a little handheld device to cleanse your facial skin. This handheld device is basically an electronic toothbrush for your face. It deeply cleanses your skin without you doing more than moving your arm around. 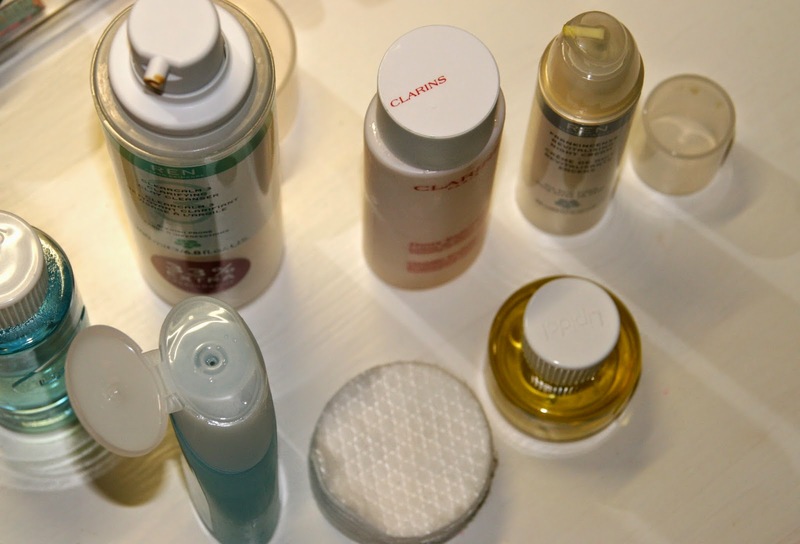 The Clarisonic recently launched in South Africa (or will launch soon, I'm not sure), and at about the same time powerhouse skincare and makeup house Clinique also launched a similar, more affordable option. 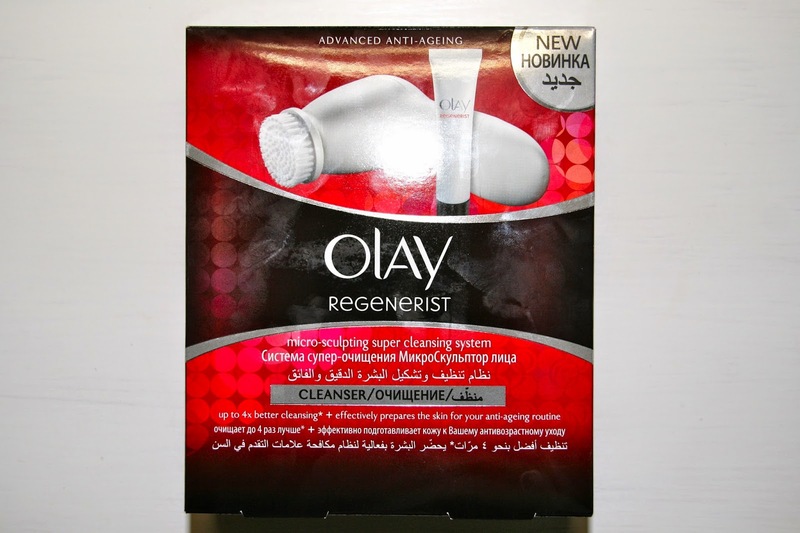 Just before these two launches, Olay launched a much, much cheaper cleansing device and this is the one I will be reviewing today. I'm not sure of the exact prices, but to give you an idea of the scale, the Clarisonic retails for around R2,400, the Clinique for R1,600, and the Olay for about R300. I haven't used or even seen the higher-end facial cleansing systems yet, so this review will stand completely on its own. I can't say if the Olay is on par with the more expensive systems, I just want to bring across my personal views on the system. The cleansing system comes in a box with the device, the brush head, two AA batteries (already inserted in this photo), and a mini Skin Perfecting Cleanser. 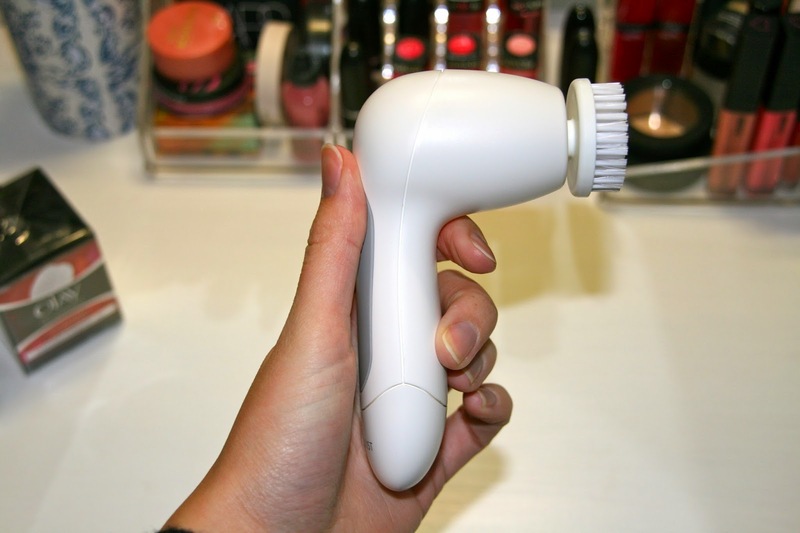 To set up the cleansing device you insert the batteries in the battery compartment in the handle, click on the brush head, and you're good to go. The cleansing device has a power button as well as two speed settings. 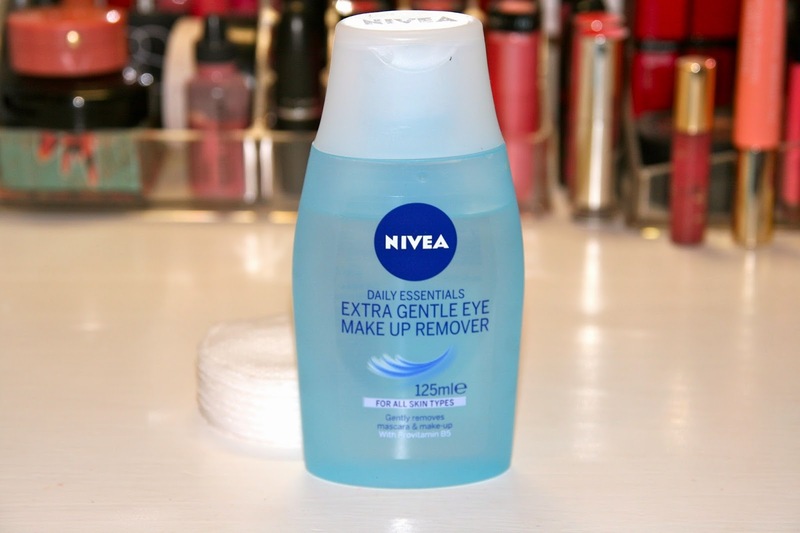 You can use the cleansing device to remove your makeup, but I prefer to remove my eye makeup beforehand. 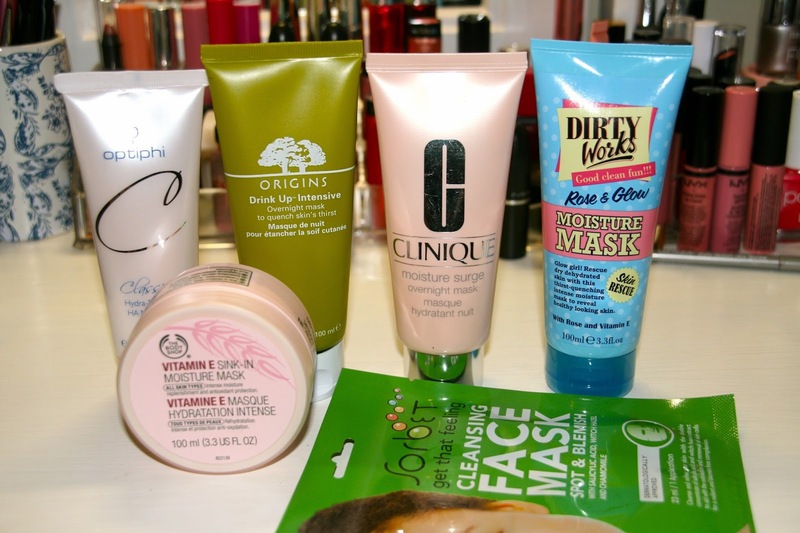 I apply the facial cleanser to my face and massage my skin for a minute or so. 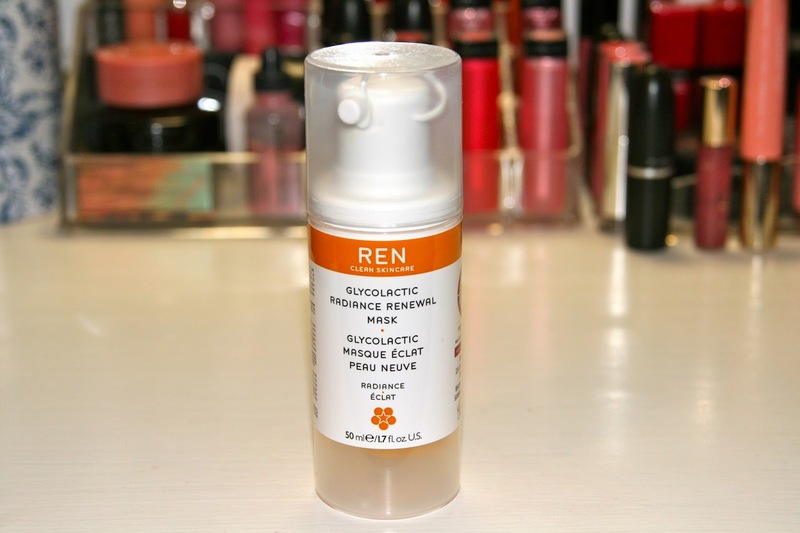 It's a slightly gritty gel cleanser, and I was scared that it was going to irritate my skin, but it didn't. I then wet the brush head in warm water and switch it on, starting at my forehead and working my way around my face. The brush head spins in circles and massages and cleanses your skin. I stay away from my eyebrows, eyes, and hairline, because I can imagine getting your hair caught up in the spinning brush head will not be pleasant! After moving the cleansing device across my entire face, I switch it off and rinse my face (and the brush head) with clean warm water. 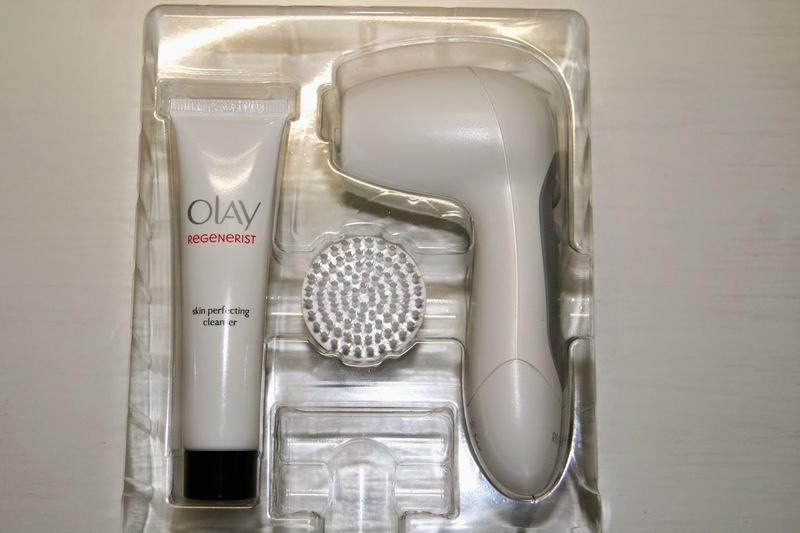 I don't wash my face in the shower, but the Olay cleansing device is waterproof so you can use it in the shower and the bath. 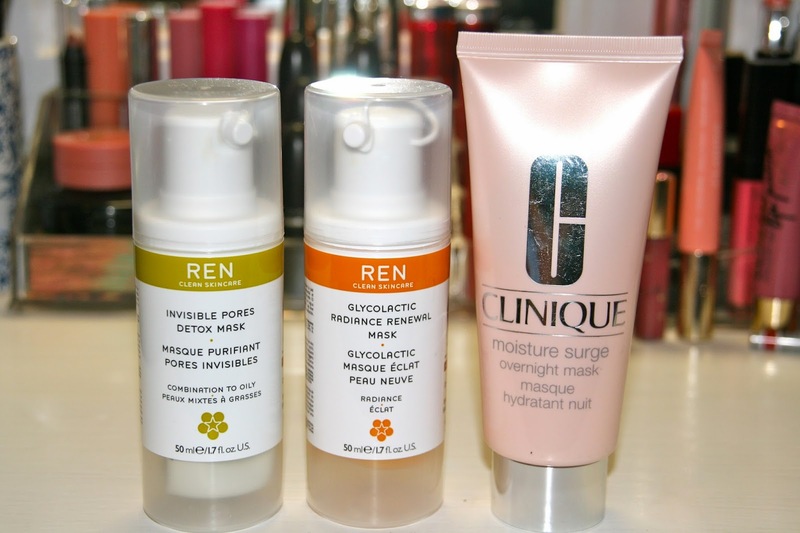 My skin is left feeling smooth and clean, but I can definitely feel that my skin has had a "workout"! I was a bit scared of how my skin would look and feel the next morning, but to my surprise my skin was clear and smooth, without the slightest hint of a breakout or a rash. I do however advise against using this every day, as I have heard horror stories of people using the Clarisonic too often and then having worse skin problems than before. I don't know what the optimal number of times per week is to use it, but I don't use it more than two or three times a week. The replacement brush heads for this system retails for around R100 for two. Dischem recently had a special offer where, if you buy any two products from the Regenerist range, you receive a full size Skin Perfecting Cleanser for free. I bought the cleansing device (which was already on special) as well as the replacement disks, and got the cleansing gel for free. 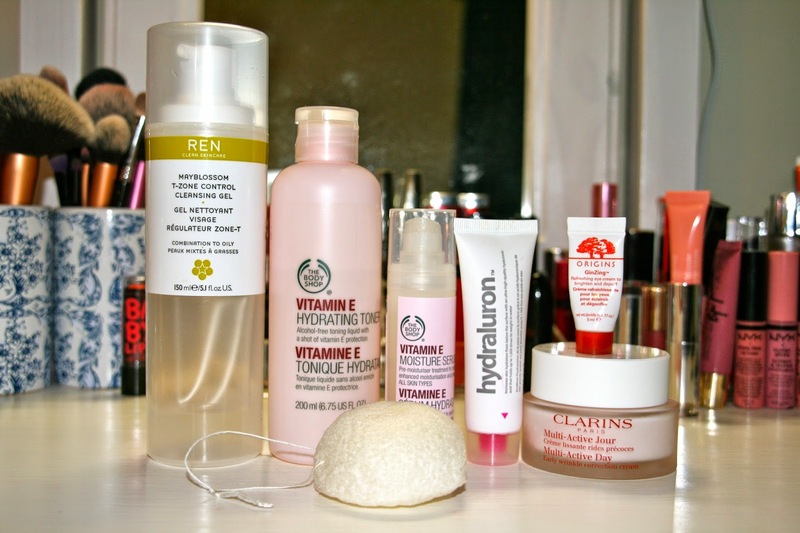 Have you ever used a cleansing device? Would you use this one? Let me know in the comments section! Another month done, where is this year going? I still have a lot (and I mean A LOT) of work to do, so please refrain from telling me how many Sundays there are left until Christmas... Right, enough of being a grinch, let's get stuck into my favourites of the past month, shall we? I am terrified of sunless tanning products. I'd much rather lay in the sun or be as pale as a ghost than slapping on a liquid/cream that is going to make me look like a streaky ooma-loompa. Browsing in Dischem one day, as you do, I discovered this on the suntan shelf and decided I would try it. (A few weeks before that I bought a can of Carribean Tan's Tan-in-a-can which I am petrified of using.) 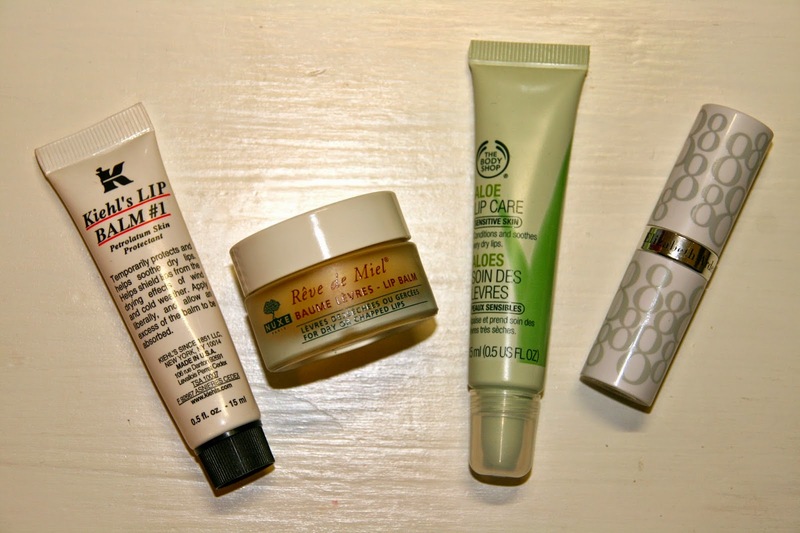 Long story short, I've managed to work my way through a quarter of the tube and I actually really like the stuff! 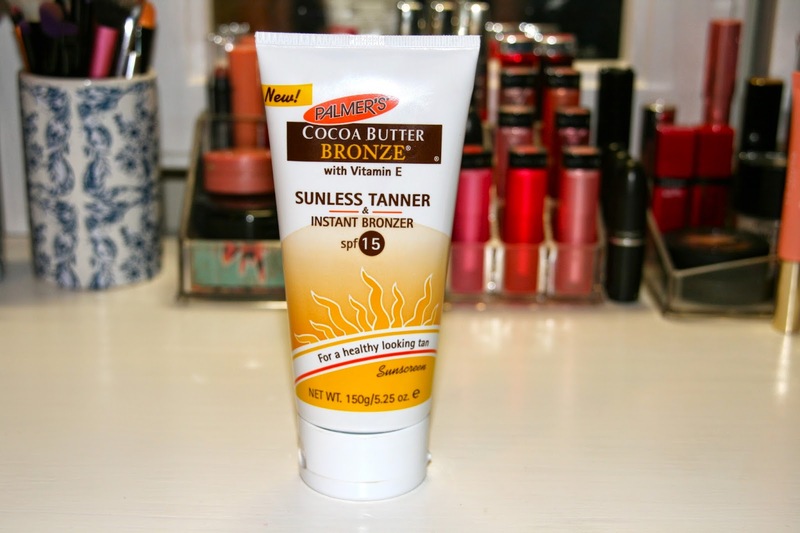 It's basically a bronzy body lotion that develops into a golden tan. Being the scaredy cat that I am, I'm currently just using it on my legs. 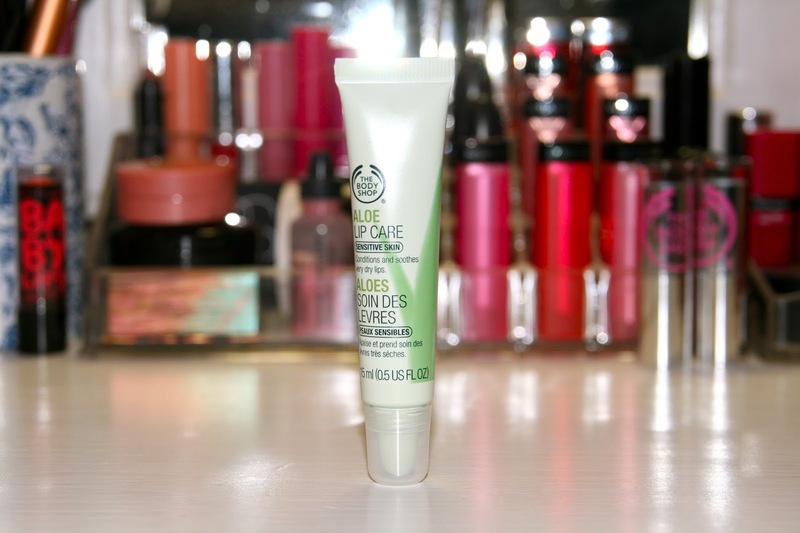 I purchased this when my Clarins Multi-Active Night Cream ran out and I saw its ludicrous price increase. 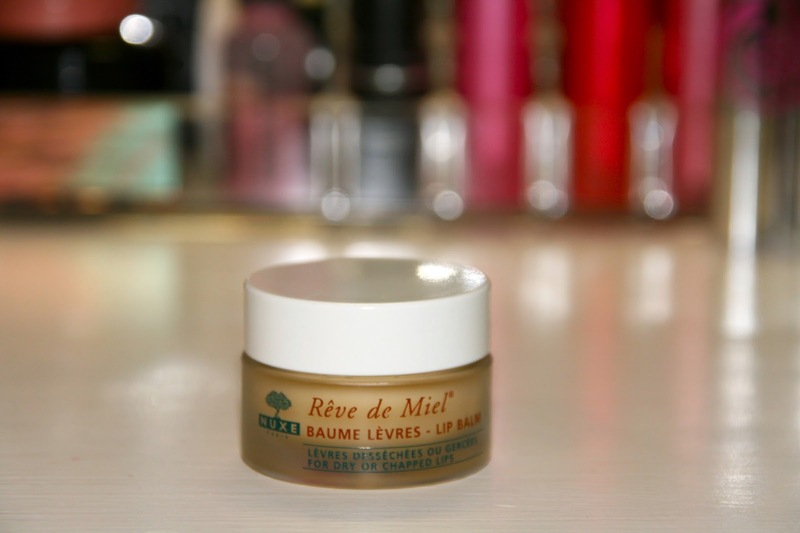 After using a sample of this night cream, I knew this was going to be my new night cream of choice. The smell takes a bit of getting used to, but I find the Frankincense scent very comforting and relaxing at night. 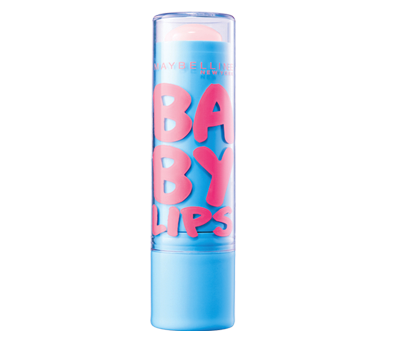 The cream hydrates and plumps my skin and is just generally "nice" on the skin. Big noise has been made over this brand in recent weeks and I totally understand why. There are only six products in the range (all oils), each and every product costs R79.95, the packaging is absolutely fuss-free, and it feels amazing on the skin. 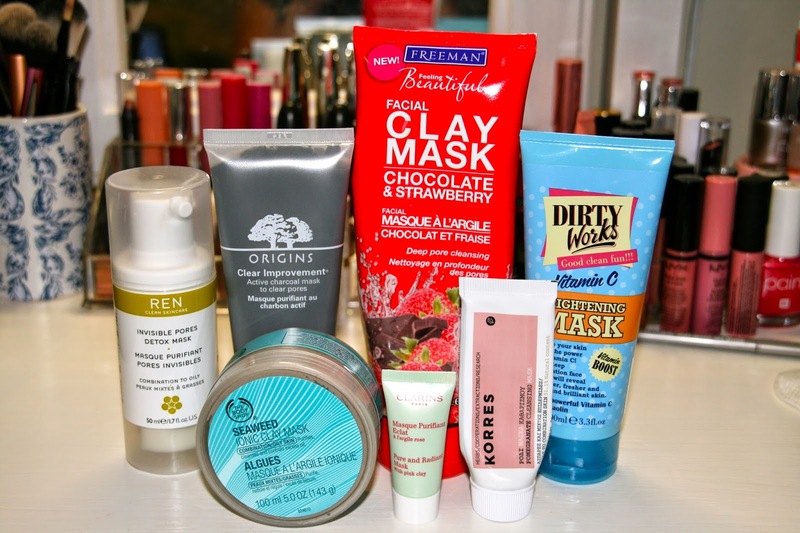 I have two products and haven't been able to stop using them since I've bought it. 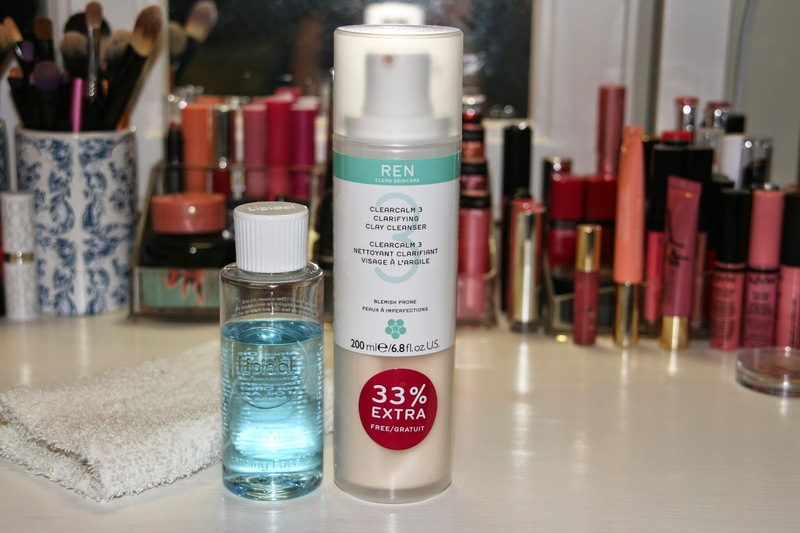 The facial cleansing oil (light blue oil) smells clean and menthol-y and removes every last bit of makeup without leaving my skin feeling greasy. I put a few drops in my hand and smooth it onto a dry (dirty) face. I then massage it into my skin and remove it with a wet, hot cloth. My skin feels smooth and clean, not stripped or greasy. 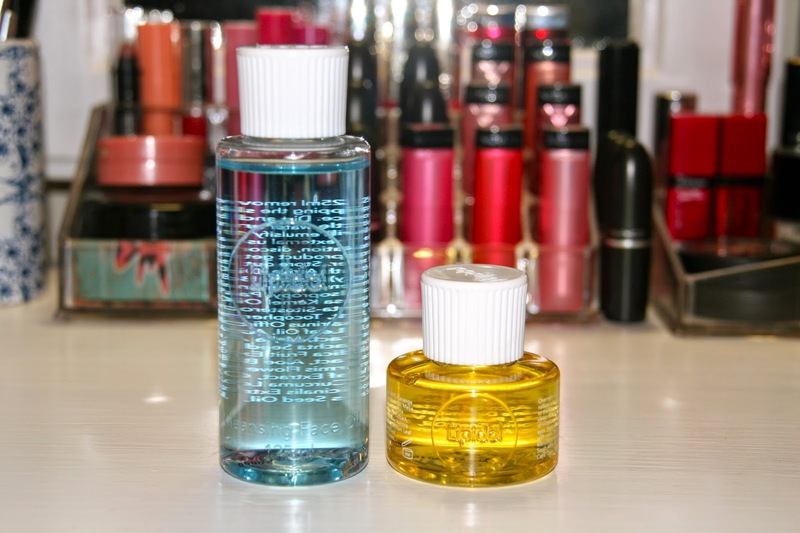 I then apply my toner and follow it with the facial treatment oil. The oils are all (except for the body oil) coloured, but they are coloured with plant dyes, so no nasties in there. I don't like the smell of the facial treatment oil that much, but I love the way it feels on my skin, and that's all that matters. I've been waking up with radiant-looking skin for the past two weeks, and I think I owe it to this Lipidol combo. 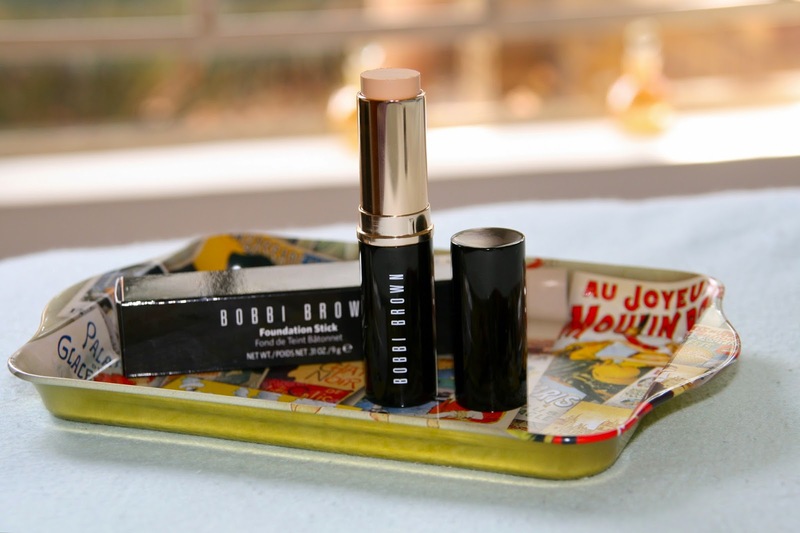 Bobbi Brown Foundation Stick in "Warm sand"
I'm not normally one to wear foundation, but this is such an easy product to apply and it never looks cakey. It's just a simple, creamy foundation and you control how much you use by swiping it across your skin. I paint this on warrior style, and then use my Real Techniques Buffing Brush to blend it in. You can read the full review here. 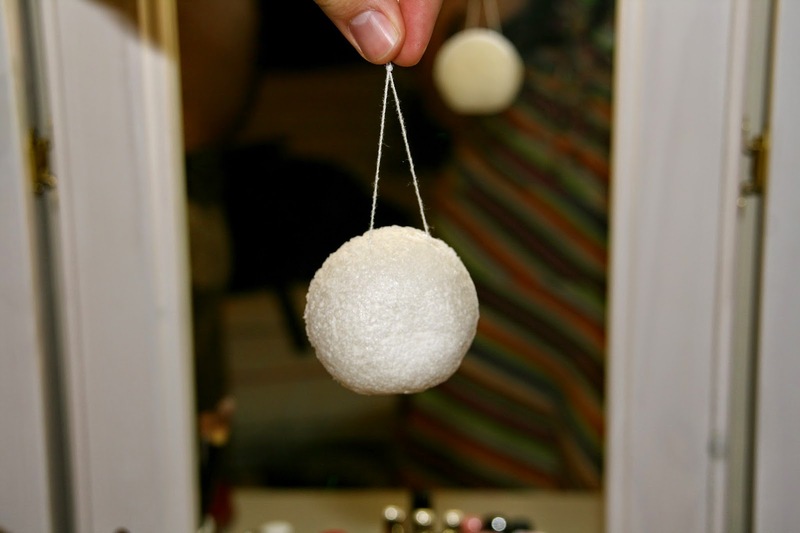 This little sponge is so quick and easy to use. I'm not a morning person at all, so reaching for this when I'm still basically asleep, is a Godsend. You can read the full review here. I was on the hunt for a new mascara and picked up this MaxFactor mascara. 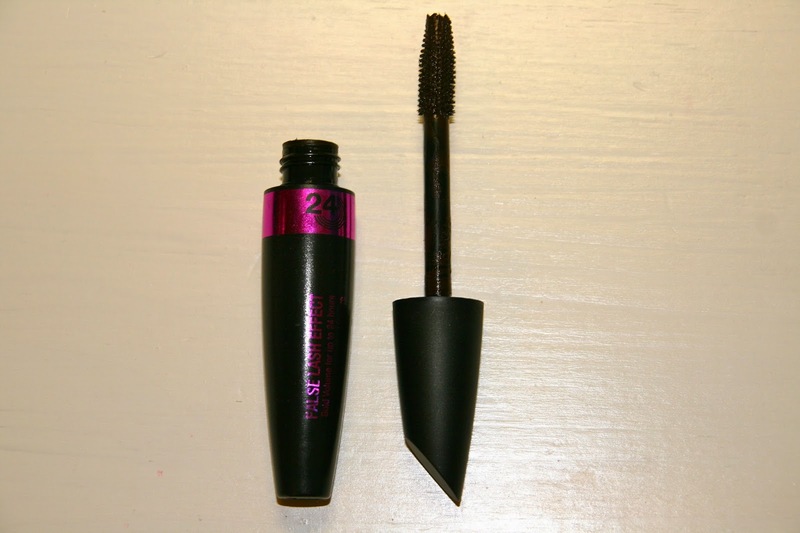 It's got a big brush with stiff bristles which I like, because it separates my lashes nicely. The brown/black colour is also very subtle for daytime. I've spoken about this here. 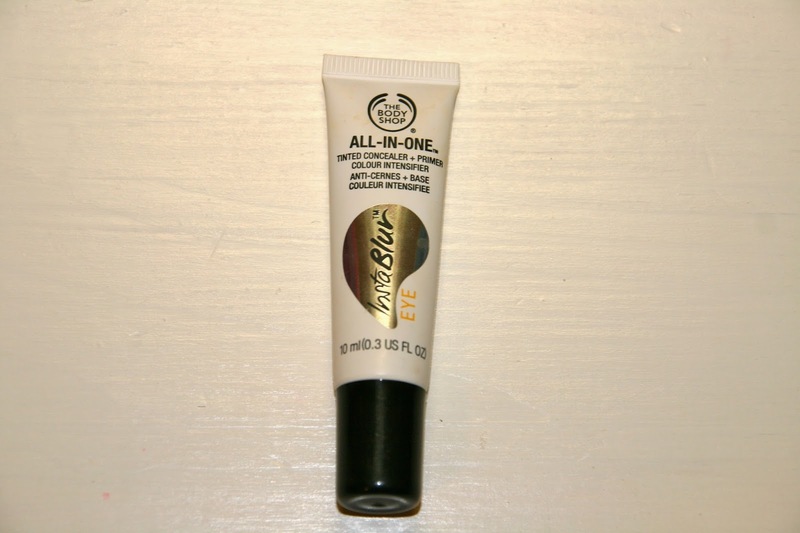 It's a lovely eyeshadow primer (it might even be better than my Urban Decay eyeshadow primer potion!) and you can use it as an under-eye concealer as well, bonus! Essie in "Splash of grenadine"
I think this might be the first nail polish to ever make it to my monthly favourites list. I love nail polish and I have too many, but it rarely (read: never) happens that I wear a certain colour two, three times during one month. This is exactly what happened with Splash of Grenadine. I can't accurately explain the colour, but it's like a girly pink with a blue undertone, making it almost a pinky-purple. It looks stunning on both fingers and toes, as well as pale skin and tanned skin. 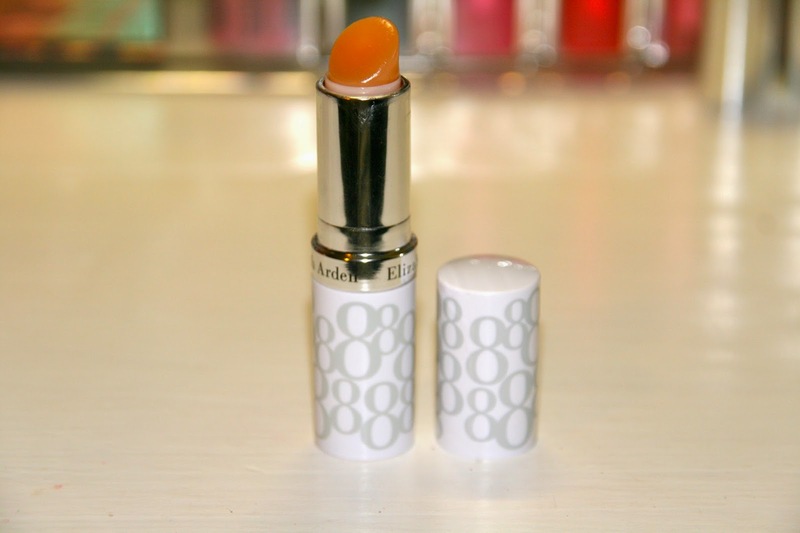 I really think this will be my go-to colour for Spring. That was my favourites! What were your favourites this past month? Let me know in the comments section!